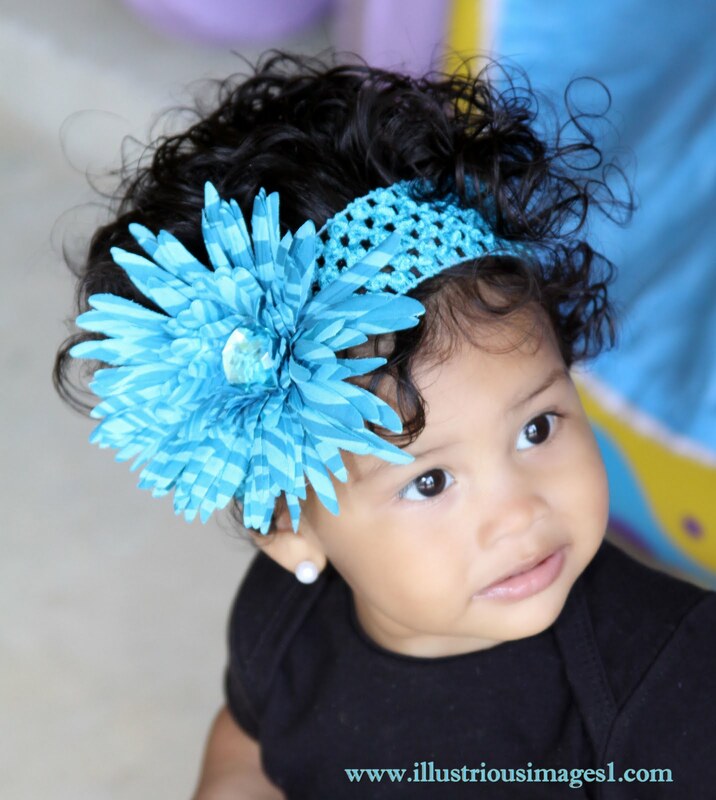 And the winner of the $100 gift certificate from Ann's Bridal Bargains is... NoelleArtemis! Congratulations to her and thanks to everyone who participated. We had a lot of fun with this giveaway and we will definitely be doing more of them in the future. So if you're a bride-to-be or a planner be sure to keep checking back for those! Is Burlap The New Black? Most planners know when you are designing events on a tight budget and the venue gives you the option of free or affordable floor length black linen. You choose that option. Black table linen helps accent any centerpiece or give a great contrast in a room. Do not get me wrong, I love black, it is a mixture of all the colors and by Merriam Webster Dictionary definition it is the achromatic color of least lightness characteristically perceived to belong to objects that neither reflect nor transmit light. HOWEVER, BURLAP is my new favorite for weddings and events. Yes, Burlap for your wedding. The wedding featured is an outdoor event at Ole Fort Jackson in Savannah, GA. Tables were banquet tables seating at 16 at each table for a total guest count of 100 or so. Tables were covered in ivory table linen that reached to the middle of the table. 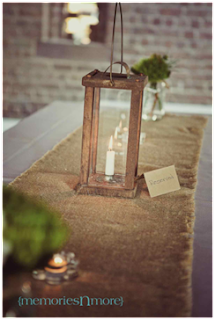 Down the middle of the table was a custom made Burlap runner with frayed edges, two small mason jar centerpieces filled with a mix green floral arrangement (set at either end of the table) and in the middle of the table a dark wood lantern with white wax candle. The Burlap also accented the S’mores Station that was placed by the campfire. 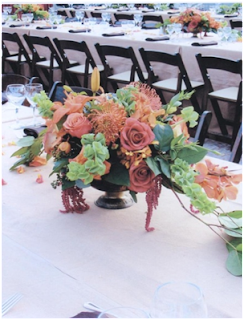 When given the chance Burlap can add texture to any of your tables. You can buy Burlap online by the yard it ranges between $5.00 - $7.00 depending on the site. At Joann’s Fabrics it is around $8.00 per yard. You can also rent it from any linen rental company. 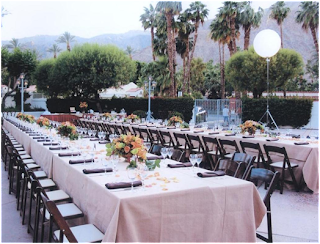 Cloth Connection out of Arizona offers Burlap linen in multiple colors, sizes and shapes for rental (I love their multiple colors options.) There are plenty of great linens out there that are cost effective and DIY friendly. Try to research your local fabrics stores and look for online vendors that offer great rates. For more tips you can follow me @mandarellla on twitter, or go to our website www.jleventsllc.com. After two and a half years I have decided to switch gears. While weddings brought me much national success, my passion for it began to wain. After both of my sisters became pregnant, I decided I wanted to "have" a new project as well and my brain child that I have been thinking of for a while, Polka Dots & Pixies was born. 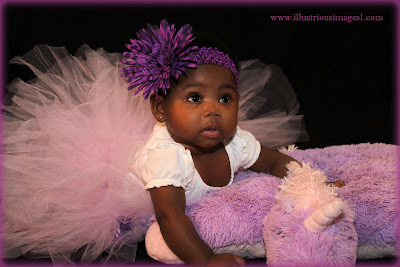 Polka Dots & Pixies was created with my favorite things in mind.... fluffy, girlie items that are ".... so fluffy I could die!!!!" 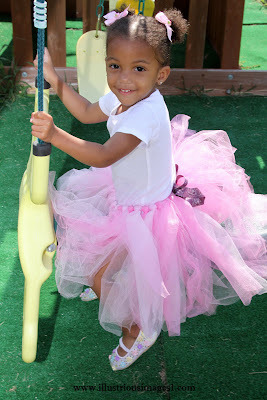 My twirling diva daughter,Heidi, is the inspiration behind each tutu creation. Each layer of tulle is hand selected and applied and last but not least diva tested and approved by Heidi. 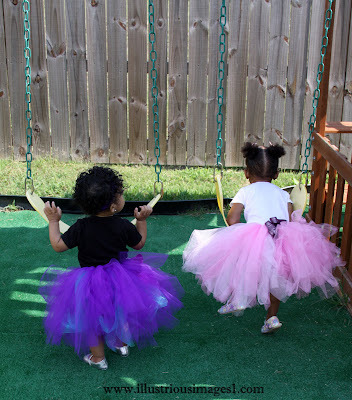 Our elegantly knotted tutus are perfect for portraits, flower girl ensembles, birthday parties, flower girl gifts, and our most recent request: rocker prom skirts with chucks. 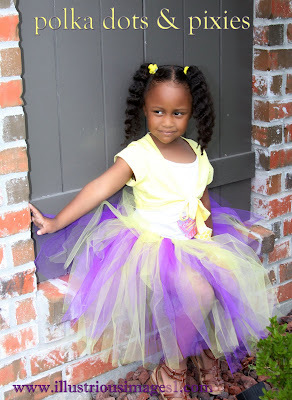 We can also use the tulle from your wedding as a spectacular heirloom for your daughter. My rough and tough boys are the inspiration behind the paperie. They love art projects and are constantly asking me to create things for them, or forcing me to write their teachers notes of apology, and being the diva that I am, these notes MUST come on gorgeous stationary. The paperie evokes the elegance of years gone by with pricing that reflects the nation's current economic situation. My family and life inspire me each day. My blue engagement ring reminds me of the whimsy that each item should have. My crazy, wild boys remind me that everything should be sturdy yet elegant and of course my daughter reminds me to twirl and feel the wind in my hair. I hope that you are inspired by all of my pieces as well. 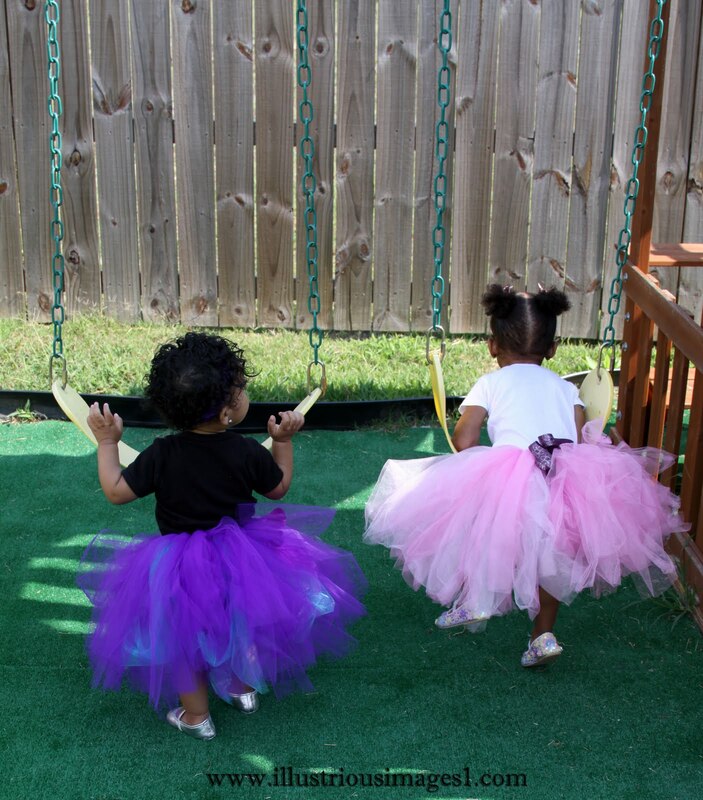 Our grand opening prices are $12.00 for a custom designer tutu and headband in any color and size, and we can also make custom tags for your wishing tree, favors and more. 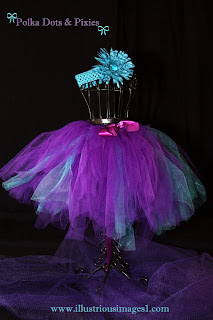 So stop by Polka Dots & Pixies and like me on Facebook! On your wedding day, everything looks as though it’s perfect. It’s what happens along the way that causes all the drama. What happens when drama raises its head? The first thing to show signs of stress is your skin. In order to keep your body and your skin radiant, healthy and all aglow, you’ll want to take a few steps to keep it that way. So, I’ve put together a few tips for you that will at least help with your beautiful black skin for your special day. What is your skin saying to you? “Traditional” weddings are typically planned a year out. So whether you’re planning a traditional wedding or you’re eloping next week, a good skin care regimen is crucial. Start by taking a good look at the present condition of your skin. Breathe … you can do it. This is the perfect time to be honest with yourself. • Is your skin soft, supple, radiant and flawless? • Do you have what you consider to be a skin challenge? Acne, uneven skin tone, black heads all over your back, you get the idea. • Are there any moles on your face, chest or back that might not be as much of a “beauty mark” as you’ve been led to believe? All of these challenges can be taken care of with a good skin care regimen. Wedding Day Skin Care Regimen - 12 months out. That right! Your wedding day regimen should begin 12 months out. You’ll do your basic skin care regimen of, Cleansing, Toning and Moisturizing, everyday. But there are a few things that will need to be done over the course of time. • Schedule a facial once a month. This will allow your beautiful black skin to be ready for the cover of any magazine. • A full body massage every other month. This will enable you to relax your spirit and get great blood circulation at the same time. • If your dress shows any part of your back, in month 6 and month 12, schedule a back facial. Yes, your back will need to be treated just like your face. You’ll want to remove all blackheads, whiteheads and dead skin cells. • Have your make up done 3 months before your wedding day. You’ll be able to determine whether or not adjustments in products need to be made. Depending on the time of year your wedding takes place, you might need to have a different make up line than what you are currently using. A Lighter line for summer and a more matte finish for winter. • Don’t choose any new skin care products to use on your face the week of your wedding. With your stress level rising from excitement of your day, so will your hormones rise, thereby causing your skin to be a bit more sensitive than other times. A new, never before tried line could cause you more stress. What’s that? Your wedding is next week and not in 12 months. No worries! • Schedule a facial tomorrow, from a trusted establishment that specializes in African American Skin. Don’t allow anyone to do any deep pore picking of blackheads though. Now is not the time to have your skin challenged. If you feel as though the time is too close for hiccups, you can always, add hot water to a bowl and add 2-3 drops of lavender essential oil. Hold your head over the bowl covered with a towel and allow it to steam. This process will give you a good sweat. After about 15 minutes, take a moist white washcloth and gently wipe your face. The texture of the washcloth will act as an exfoliant, helping to remove dead skin cells and it will bring to surface some blackheads that are ready to be removed. • Schedule yourself a full body massage the day before your wedding, it will help you relax. There you have it Bronzed Beauty. Your dress will get some of the attention but it will be your skin that’s talked about the most. Juliette Samuel is a skin care therapist and acting president of NYRAJU Skin Care. She is also a member of NAHA-The National Association of Holistic Aromatherapy, The Society of Cosmetic Chemist and is the Fragrance Editor for BellaOnline. Ladies! When you're planning a wedding, what's better than a really good deal? A freebie, that's what. 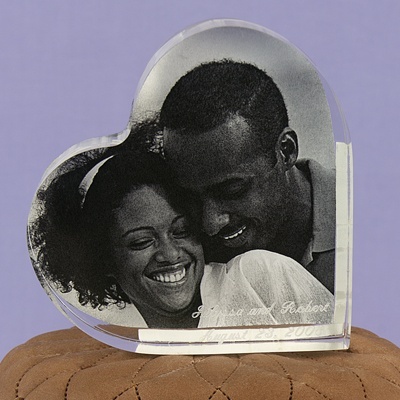 Ann's Bridal Bargains is giving away a $100 gift certificate to one very lucky African-AmericanBrides.com reader. Entering the contest is super easy. Just leave a comment on this post and that's it! Two weeks from now we'll use the random generator to choose a winner. It could SO be you. Not sure what you would spend $100 on? Click below to see some of the invitations, favors, personalized accessories, very cute napkins and other wedding day goodness over at Ann's Bridal Bargains. 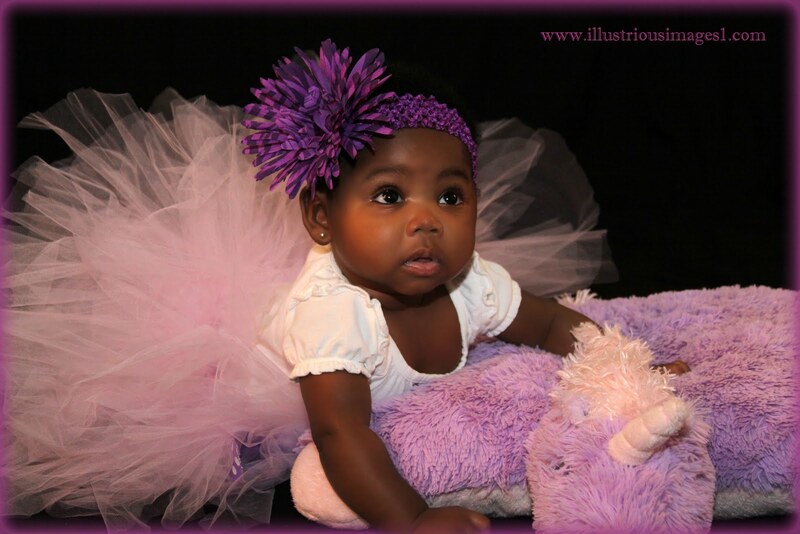 My name is Amanda Hollowell and I co-own wedding and event planning company JL Events, LLC in Savannah, GA. The current dessert trend we love is the Self-Serve Smores Station. It works well at outdoor facilities or at any venue that would allow you to bring in a portable fire pit. This station is a no stress setup. 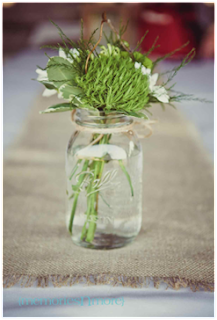 Depending on the colors of the event I love a table wrapped in burlap or burlap runners, ivory accents and floral that has greenery or small centerpieces placed in mason jars (LOVE! Mason Jars). You can use an existing table next to the campfire or a six foot banquet style table - all depending on the size of your guest count. Presentation is everything with this station. We use large glass vases that come with lids, all are different shapes and sizes. 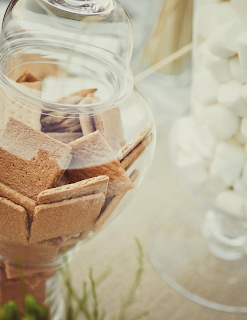 You want to use glass so the guests can see the graham crackers, chocolate, and marshmallows. To help the guests you can use either extra long bamboo sticks used for Kabobs or the long metal two prong stick, used mostly for barbequing. We recommend lids for your glass containers because if the event is outside, there is chance you will be faced with some flying pests, this helps protect those yummy treats. To entice the guests we put a platter out with marshmallows already attached to bamboo sticks. A warning, if it is a warm day and you are going to take the chocolate out of their wrappers and place in jars. Wait until the sun down goes down or the chocolate will melt and you will have a fudge station instead. We also recommend that you freeze the chocolate the night before and not place on the station until it is truly time for dessert. Everything is place and presentation is “I die” as Rachel Zoe says, then your Smores Station is ready. 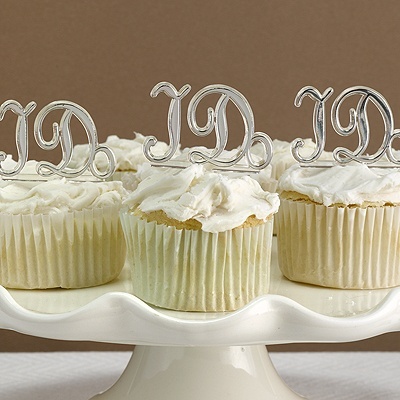 Your guests will truly have a great time with this option. All the items listed can be found pretty much anywhere and they are extremely affordable. Walmart is featuring a complete Smores display in its stores, where you can buy the graham crackers, Hershey’s Chocolate and Camp Fire Marshmallows (extra large) in one place. At Walmart you can also purchase the long bamboo sticks. We got a great deal on our glass vases at Home Goods, they have an awesome selection of event glassware and accents. Party City we got the clear plastic platters and napkins. The linen was a rental and the burlap can be purchased online for an awesome deal. Happy planning! Jill Scott ft. Anthony Hamilton, "So In Love"
This week, I had the chance to talk to one of the stars of WE tv's Bridezillas. Porsha was super-friendly and a real firecracker over the phone. I can see why she was chosen for the show! Porsha has been getting a lot of flak for telling her wedding attendants to workout to get in shape for her nuptials but she says, "I think your bridesmaids should be people who are willing to do whatever you need them to do." And she's not kidding either! Take a look at this clip of her telling her bridesmaid that they'll have to shave their body hair because she "will not have any hairy beasts" at her wedding. She has two pieces of advice for brides-to-be. She says, "Make your day the way you want it" and when it comes to major wedding vendors "choose the professionals instead of friends". Portia says she received a lot of stress when friends who had promised to help out with the wedding didn't come through. She also said brides should try to get their grooms involved in the details but that "in the end, it all comes down on the bride." A new episode airs tomorrow (Sunday) night on WE tv, so don't miss it!